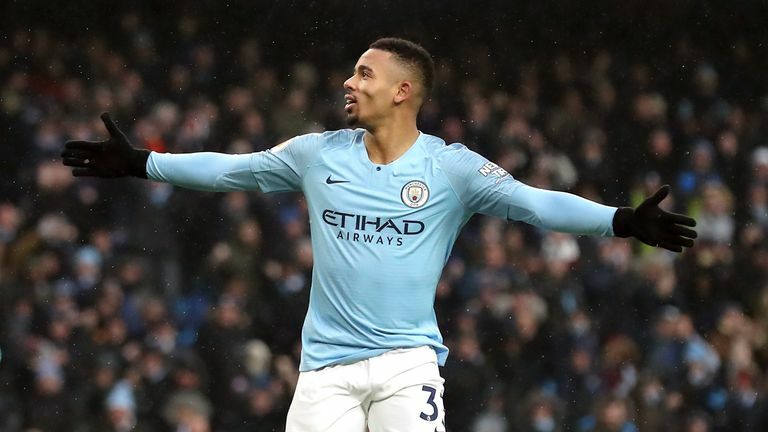 Gabriel Jesus scored four goals in City's 9-0 rout in the first leg of their Carabao Cup semi-final against Burton on Wednesday, when striker Aguero was not included in the squad. Aguero has been struggling with illness since City's 2-1 win over Liverpool, in which he scored the winner, and only returned to training on Thursday. Central defender Vincent Kompany has also been struggling since the Liverpool game, Guardiola revealed. "I hope so, right now I'm not sure," Guardiola said, when asked if the pair will play. Jesus' family have spent the last month in Manchester, a period which has seen the 21-year-old score seven goals, but they returned to Brazil this week. Guardiola said City "try to take care of all of us", but admitted the club "cannot substitute the mother or family". "When they can't be there it's difficult," he said. "But it is what it is and he has to handle that situation. He's not alone, he has friends, a special connection with the Brazilian players. "The private life affects performances. Sometimes we judge the players, we don't know what is happening in the private life. "You have to try and help them, all we can do is tell them we are here. We will try to help them. I don't know what more we can do."